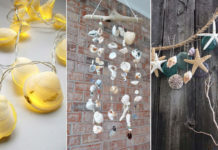 Transform your boring walls with these gorgeous DIY wall hanging ideas! Most of these ideas are easy to do once you get the hang of it and require easily available supplies. 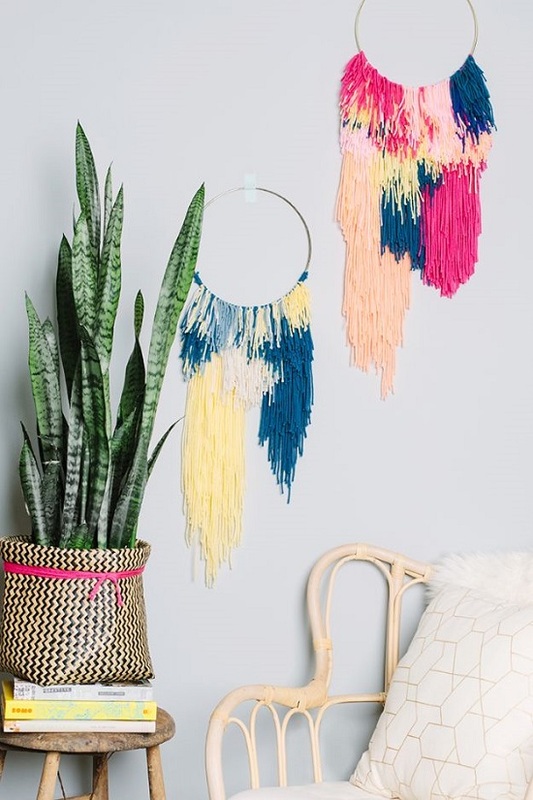 Make this stylish and impactful pom pom wall hanging using lots of yarn and a few hangers. The details on the project are here. Place a dowel across the width of the strings and glue them while rolling gradually. For added texture, you can plait or knot the strings in any design. Follow here. Showcase the phases of the moon on your wall with this easy DIY using air dry clay, string, square dowel, and glue. The instructions are available here. 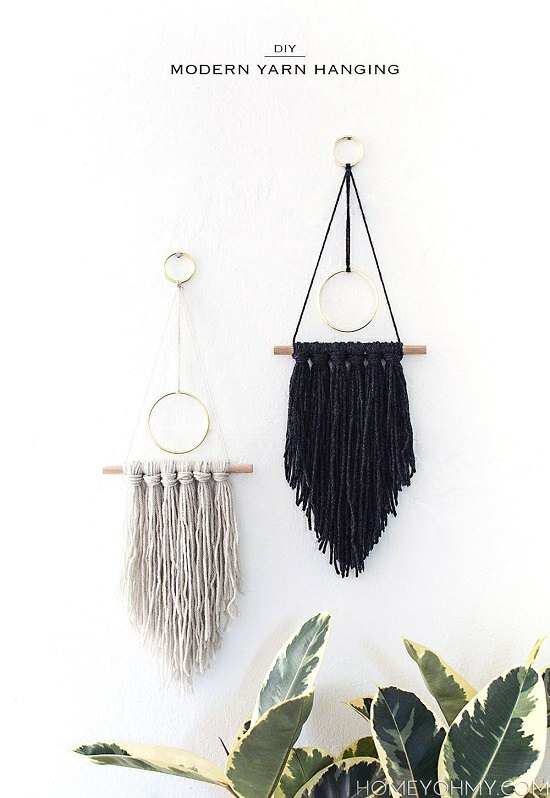 Here are two ways in which you can create simple yet elegant wall art using strings and dowel rods. Straight fringe, tassels, or knots; it looks great anyway! 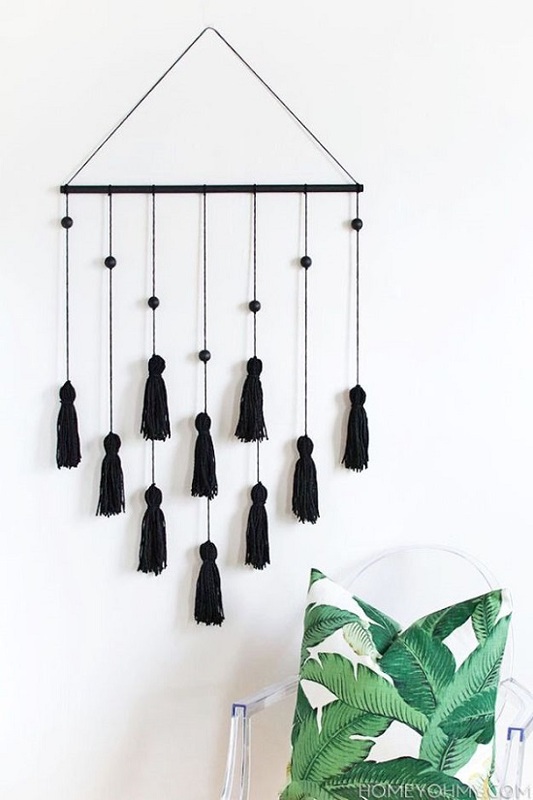 This tassel wall hanging adds a unique appeal to any boring and dull wall without putting many efforts. Follow the tutorial steps here. Loop yarn strings onto an embroidery hoop and pull it tight to secure it in place. Once you finish looping every strand, trim the bottom to the required length. Here’s the tutorial. Make four semi-circles out of air dry clay and make a hole at each end of the semi-circles and let it dry. Once it dries, string a yarn tassel to the clay figures with a strand of yarn. 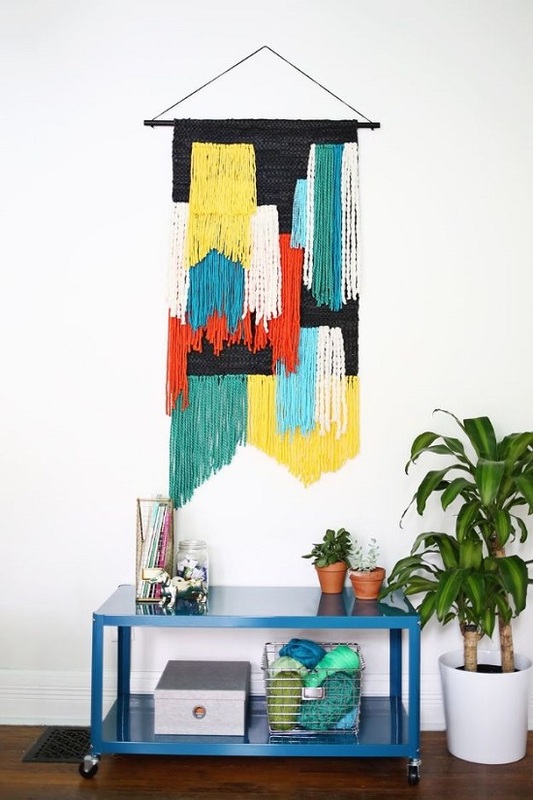 Add a decorative accent to your front wall by making this multicolor tapestry wall hanging. A Beautiful Mess has the directions. Transform a basic table runner into this impressive wall hanging without any weaving, just a bit of glue and some sewing is needed. Find it at The Lovely Drawer. This is an easy hack to use a rug as a wall hanging by attaching it to a dowel rod with thread or string. We found the idea here. 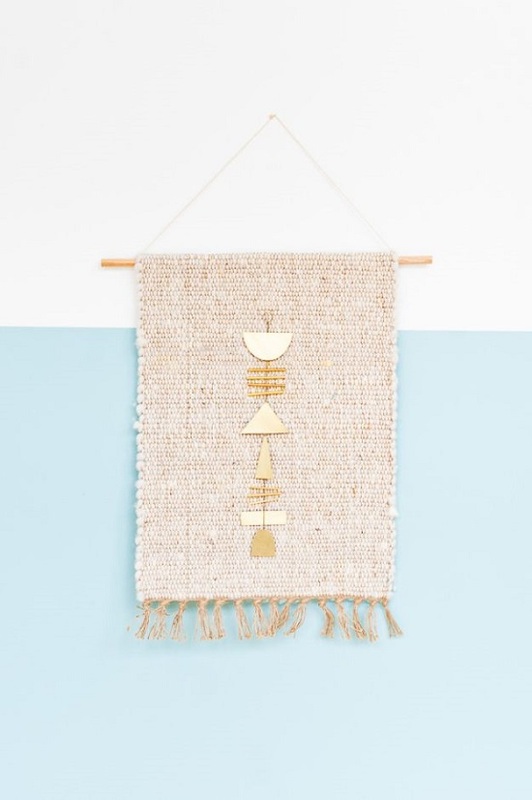 You can complete this wall hanging hack within five minutes by using a woven rug, stitch witchery, yarn, dowel rod, brass piece, and iron. The explanation is right here. 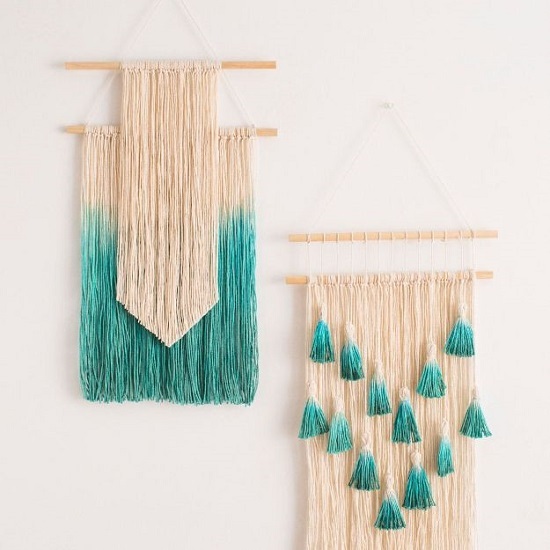 DIY this simple and modern tassel wall hanging with tassels made out of yarn and wooden beads. The directions are available at Homey Oh My. 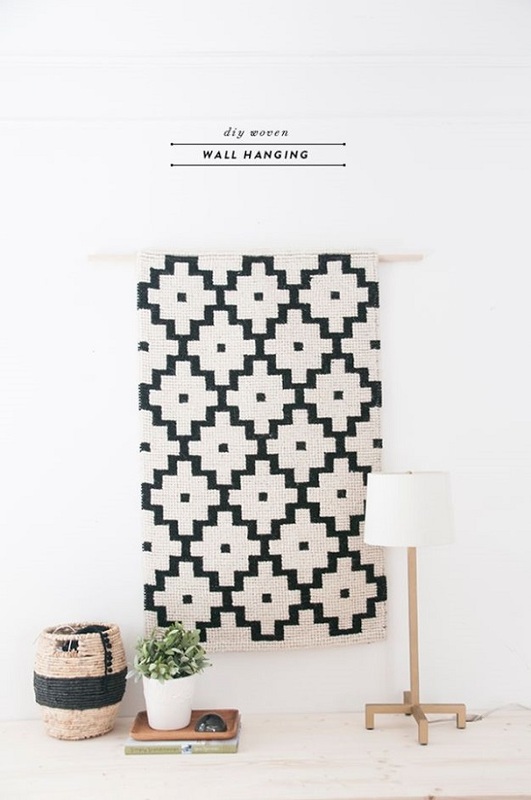 This DIY wall weaving might be a bit tricky to make but it worth the efforts. 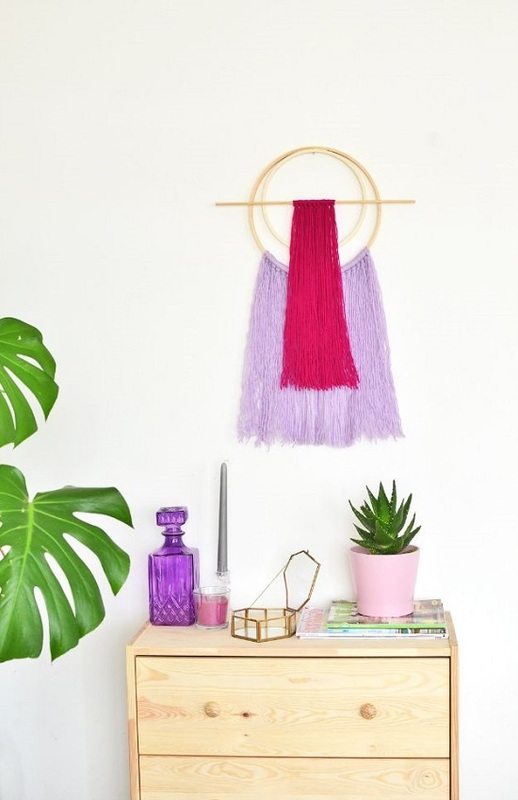 All you need is macrame hoop, yarn, and a few other supplies for this project. Here’s the step by step tutorial. 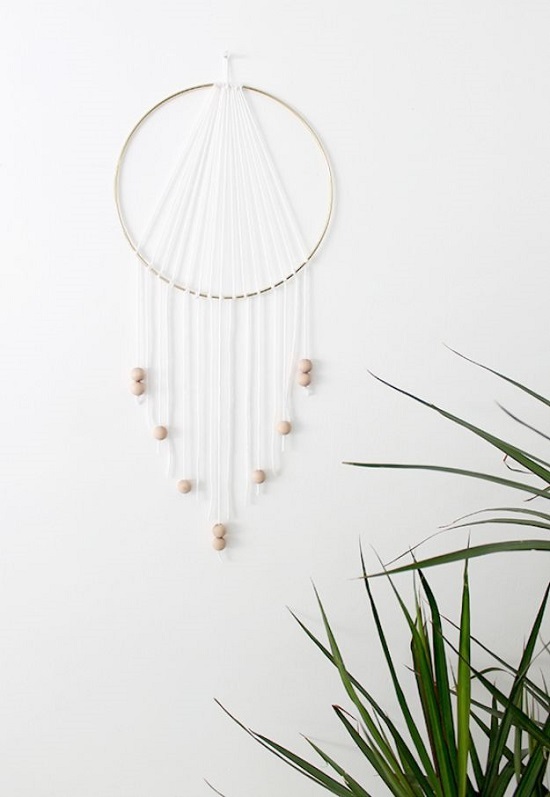 You’ll need macrame ring, white yarn, wooden beads, scissors, and a toothpick to imitate this dreamcatcher hanging. This site has a step by step for the project. 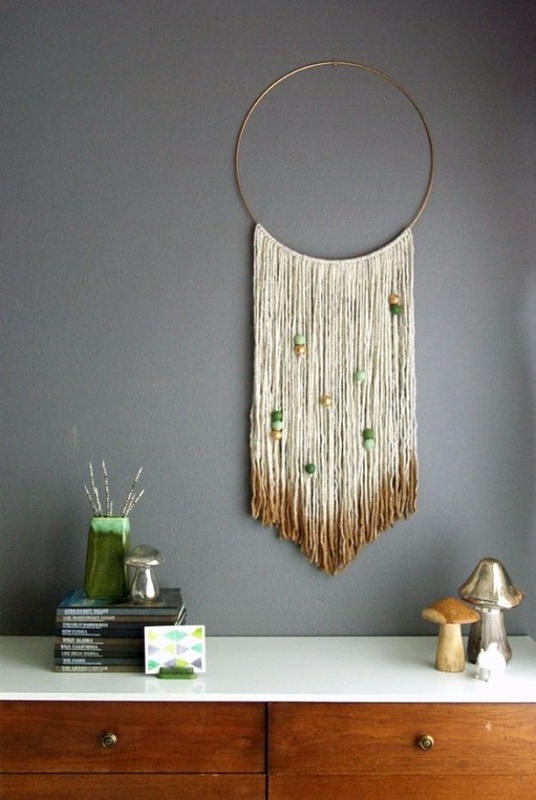 How about creating an asymmetrical wall hanging with different shades of fabric and a dowel rod? It makes an artistic piece to display on your wall, visit here. 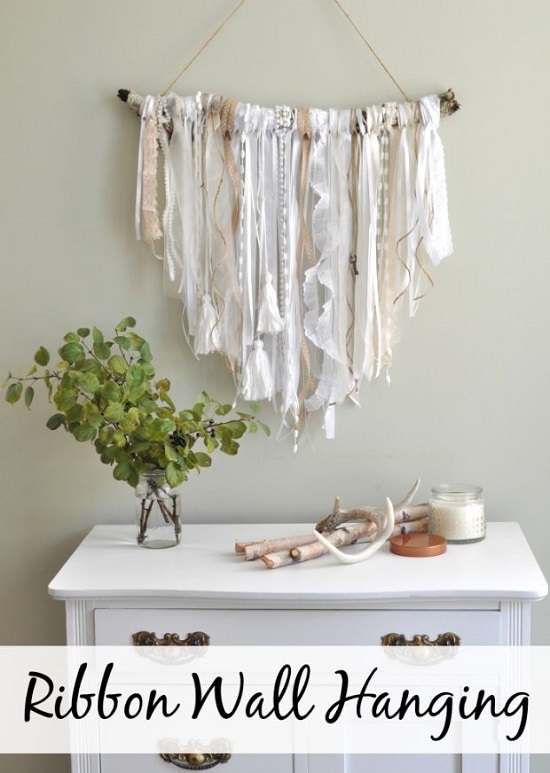 Tie various ribbons and lace pieces to an old branch to replicate this interesting wall hanging idea. For further details, click here. Combine two embroidery hoop of different sizes, a dowel rod, and two yarns in making this DIY. For the steps in detail, have a look here. 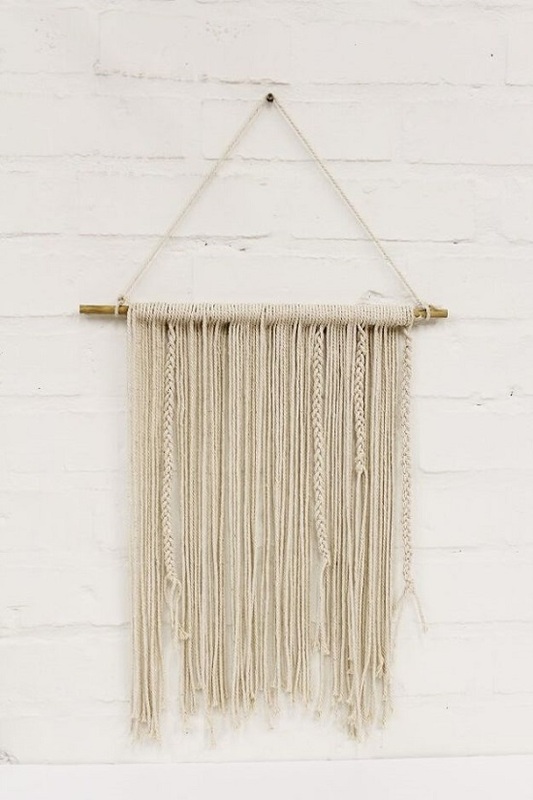 This yarn hanging made with thick string and copper pipes is an excellent way to add elegance and rustic look to your wall. Visit A Beautiful Mess. 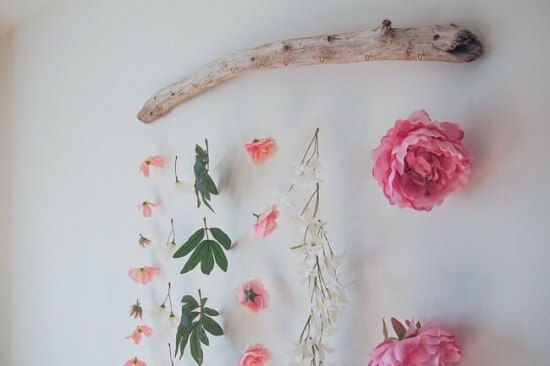 Hang artificial flowers from an old branch using transparent thread and some sort of a holder. Have a look at the directions here. 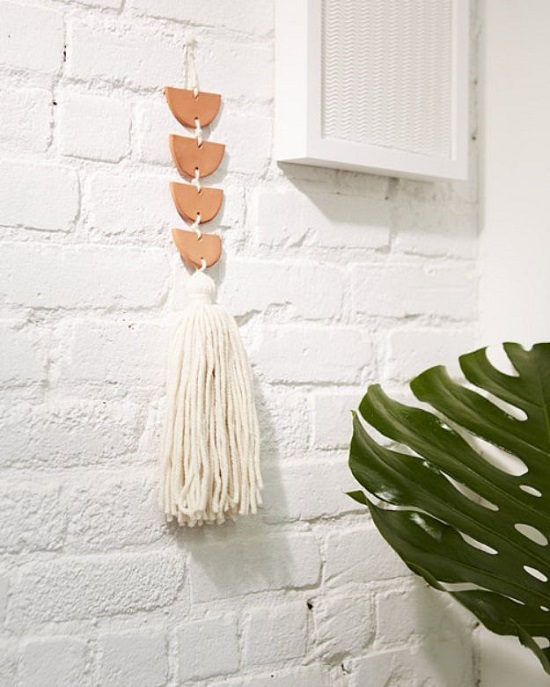 A wall yarn hanging is a great way to showcase your DIY skills of making artwork at home. Know more here.